There isn’t a lot of gear required for BJJ outside of a jiu-jitsu gi, compression shorts and a cup. But one of the most important pieces of equipment to have is a mouthguard. There is nothing worse than rolling without one and taking a knee to the mouth. We highly recommend mouthguards anytime you’re rolling so you don’t get your teeth knocked out. And if a custom fitting mouthguard from a dentist sounds out of your price range well we got you covered. We analyze and break down the best mouthguards for MMA and BJJ. Shock Doctor is the market leader in mouthguards. Located in Minnesota the Shock Doctor’s Strapless MouthGuard is great for BJJ practitioners who wear braces. It is far better than other types thanks to its shock absorption and silicone-based materials it doesn’t need to be boiled or fitted. This mouthguard is made of mid-density polyethylene, EVA and krayton. It has shock absorption fitted internally for protection and comes with jaw pads that act as shock absorbers. Shop the Shock Doctor Mouthguard today. Venum produces some of the best sports equipment around for Mixed Martial Arts and Brazilian Jiu-Jitsu. The Venum Challenger Mouthguard is no exception and has advanced design and allows you to breath during rolling. The Next fit gel frame provides superior comfort around your teeth. 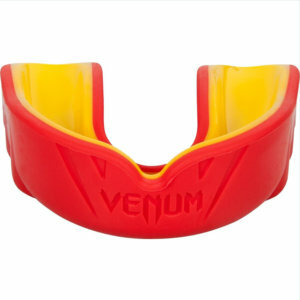 For top-level protection the Venum Challenger Mouthguard makes use of a high-density rubber foam. This breaks shock waves and protects your teeth. The mouthguard is constructed from two plastic ply and features a breathing channel. All in all this is a good-looking mouthguard that is easy to put in and take out. Shop the Venum Challenger Mouthguard today. This mouthguard has been designed so that it offers optimal protection for your teeth while not obstructing your airflow. 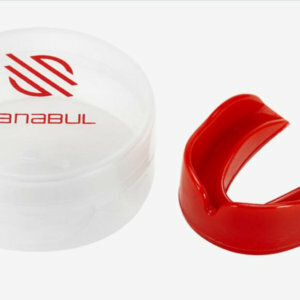 The Sanabul Single Boil Mouthguard makes use of a material that helps it dry fast to minimize the build-up of bacteria. This mouthpiece is great for striking, grappling, MMA and other sports. It’s great for someone looking for a durable mouthguard at an affordable price. Shop the Sanabul Boil & Bite Mouthguard today. 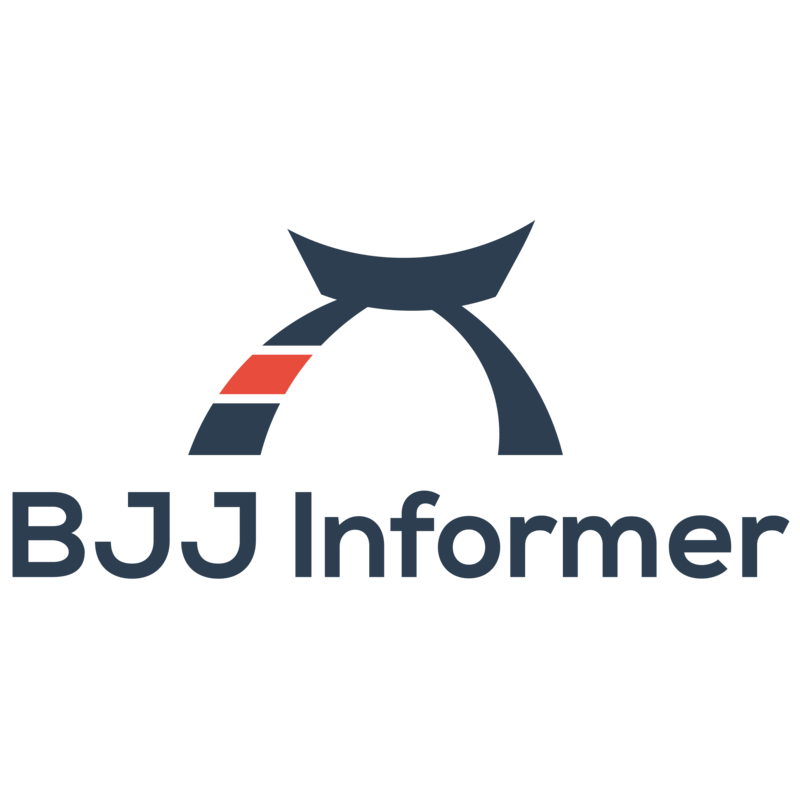 Widely regarded as one of the best mouthguards available for Jiu-Jitsu, MMA and other combat sports it has many advantages over other mouthguards. This mouthguard will not obstruct you from breathing or talking while you’re rolling. The SISU Aero Guard is manufactured using a thin chew-resistant material which you can remold it several times for a custom fit. All in all this mouthguard is really comforting and soothing, and they promise to cover your dental bills if you manage to break a tooth. Shop the SISU Mouth Guard Today. Mouthguards are often used to protect teeth from injury teeth grinding and during sports. These mouthguards are performed and come ready to wear. They tend to be inexpensive and can be bought at most sporting good stores and department stores. However, these can be difficult to adjust their fit and tend to be bulky which may make breathing hard. These can also be bought at many sporting goods stores and may offer a better fit than most stock mouth protectors. The “boil and bite” mouthguard is made from thermoplastic material. It is placed in hot water to soften, then placed in the mouth and shaped around your teeth. When deciding between an off the shelf mouthguard and a custom mouthguard is only the beginning. We’ve made moulding a mouthguard easy with our directions. Heat a small pot of water until it is boiling. Then submerge your mouthguard between 20 – 30 seconds. Be sure to check to see if your mouthguard comes with instructions for the correct boiling time. Remember you don’t want to melt the mouthguard just heat it enough so it’s pliable. Remove the mouthguard from the water using tongs or a knife. It’s important you handle your mouthguard with care so you don’t accidently deform it. So, don’t squeeze too tight. Now, you will want to cool your mouthguard by dipping it in a cup of cool water. You shouldn’t need to submerge it in cool water longer than 10 seconds. You want to cool it enough so you can put it in your mouth without burning yourself. Place the mouthguard in your mouth to mould it. Push it against your teeth and bite down on it lightly but firm enough so it begins to mold. Finally, so the mould takes you will need to cool it again. You can do this by dipping it in cold water and letting it set for around 30 seconds. If the mouthguard doesn’t fit properly you can simply remould it. How to Find the Best Mouthguard for Braces? It’s hard enough to find the best mouthguard for BJJ or MMA but add braces into the mix and it becomes almost impossible. But there are some further considerations that need to made to find the best mouthguard for braces. Custom fit is important. Most mouthguards for braces are a one size fits all solution. 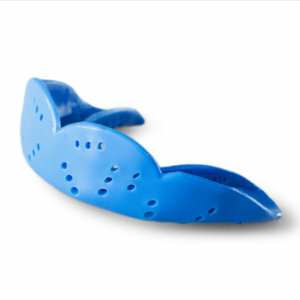 You will need a custom fit mouthguard that will provide the best protection for your teeth and braces. A custom mouthguard will fit exactly to the shape of your teeth and keep them secure. You need room for growth. Braces slowly move teeth in place for the perfect smile. As a result, while your teeth are undergoing this process, they need room. This means you will need a mouthguard that will not impede with this movement. Bottom mouthguards protect your braces. Most injuries occur on your top teeth. Which is why athletes commonly wear mouthguards for their upper teeth. However, with braces we recommend a mouthguard on the bottom teeth. When it comes to BJJ, MMA and boxing the bottom mouthguard will protect your mouth from getting cut up by sharp brackets. This is one of the more important aspects when choosing your mouthguard. You don’t want to train with a mouth piece that is either constantly falling out or is restricting your breathing. This can cause more harm than good. If you have a custom mouthguard keep a watch on any changes over time. Especially if you’re still growing or wearing braces because your teeth formation can change. Does Your Mouthguard Protect Your Teeth? Generally, the thicker your mouthguard the more protection it offers. But with a thick mouthguard comes the potential of your breathing being restricted. If you’re struggling to breathe during hard rolling sessions then it could be time to try another mouthguard. Whatever mouthguard you decide for MMA, Jiu-Jitsu, or boxing make sure that it fits well and will help protect your teeth. Here’s a quick checklist to run through to make sure your mouthguard fits properly. You shouldn’t be gagging. This probably sounds obvious but if your mouthguard makes you gag, then something is wrong. There’s a myth out there that a mouthpiece should completely cover all of the upper teeth. But that’s not true and is part of the reason for gagging. No biting or clenching. If you find yourself biting down on your mouthpiece to keep it in place then it doesn’t fit properly. Your mouthguard should stay securely around your upper teeth without falling out. There shouldn’t be a need to stop and adjust mid roll or during a sparring session. You should be able to speak clearly. This is an easy test to see if your mouthpiece fits properly. If it interferes with your speech and breathing then clearly your mouthguard isn’t fitting correctly. Do I need a mouthguard for BJJ? Typically, first classes for BJJ you won’t need a mouthguard. You will spend time drilling and doing some light positional sparring which doesn’t require a mouthpiece for BJJ. However, some people don’t use mouthguards at all, and others use them when rolling or sparring towards the end of class. And most people generally wear them during competitions. You don’t need one but if you value your teeth and aren’t very fond of the dentist then I’d highly recommend wearing a mouthguard anytime you want to roll or go live outside of normal drilling. Where Can I Find a Custom Mouthguard? There are no shortage of places you can look online to get a custom mouthguard created. 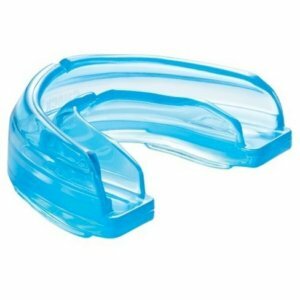 Gladiator Guards makes high quality custom mouthguards that have robust features. Gladiator custom mouthguards build your mouthguard so it’s specific for your sport and enhances performance rather than take away from it.